Is coking coal the biggest limit to steel production? 1. Is coking coal the biggest limit to steel production? But wait. There is one other element that can be used as a reductant in steel manufacture (driving off the oxygen from iron ore) at practical temperatures, and the process is well proven. That is… hydrogen. So I can see a great role for high temperature fast spectrum nuclear reactors such as the lead-cooled variety, for CO2-free thermochemical production of hydrogen, for the critical iron-steel making industry (or the Integral Fast Reactor via electrolysis). This is yet another advantage of Gen IV nuclear that I’d not previously considered — build a reactor next to each major blast furnace and pipe the hydrogen directly and simply, over short distances (so avoid issues with hydrogen storage and long-distance piping). This honestly seems to offer the only feasible way to get rid of coking coal and the 7% of global anthropogenic carbon emissions that this process causes. The steelworks at Whyalla in South Australia, is an obvious place to demonstate this potentially superb synergy. So, whilst the ‘hydrogen transport economy’ may still be a long way from reality, its major use in industrial applications like steelmaking may be much closer than many might have imagined. Time to start re-hyping hydrogen! Indeed, it’s starting in Austria. Austrian steelmaker Voestalpine is to build an experimental facility for producing hydrogen with the aim of eventually harnessing the element to help eradicate the heavy carbon pollution that results from making steel in coal-fed blast furnaces. Voestalpine is looking into the possibility of replacing coking coal, which is used to reduce iron ore into molten metal, with hydrogen in the production of crude steel. Although the company stresses that this is about two decades away, it would represent a fundamental shift in steelmaking technology with the potential to significantly reduce one of the largest sources of industrial CO2 emissions. 2. At what energy cost? Many doomers will even admit that there is plenty of metal in the earth’s crust, in very low parts-per-million, if we have enough energy to mine it. Then they just assume peak energy, that when fossil fuels run out it’s the end of energy sources, without actually proving that breeder reactors cannot supply us with energy for a billion years. But with nuclear power, we have an abundant source of energy to recharge any energy carrier we want, like synthetic diesel or boron pellets. The mega-machines of today can chew through normal rock and dirt and find enough metals in tiny parts per million if the price is right. We have the means to wean off oil. The Critical Mineral Resources wiki also sounds alarming, but also admits recycling technology will receive more investment as the various metals start to peak. But it does also have a useful summary guide of the most critical minerals and what they are used for. Worldchanging quotes Bardi and Pagani. The minerals Bardi and co-author Marco Pagani found to be peaking were Mercury, Tellurium, Lead, Cadmium, Potash, Phosphate rock, Thallium Selenium, Zirconium, Rhenium, and Gallium. Note that most of these are key components in computers and other electronics. Take the metal gallium, which along with indium is used to make indium gallium arsenide. This is the semiconducting material at the heart of a new generation of solar cells that promise to be up to twice as efficient as conventional designs. Reserves of both metals are disputed, but in a recent report René Kleijn, a chemist at Leiden University in the Netherlands, concludes that current reserves “would not allow a substantial contribution of these cells” to the future supply of solar electricity. He estimates gallium and indium will probably contribute to less than 1 per cent of all future solar cells – a limitation imposed purely by a lack of raw material. To get a feel for the scale of the problem, we have turned to data from the US Geological Survey’s annual reports and UN statistics on global population. This has allowed us to estimate the effect that increases in living standards will have on the time it will take for key minerals to run out (see Graphs). How many years, for instance, would these minerals last if every human on the planet were to consume them at just half the rate of an average US resident today? The calculations are crude – they don’t take into account any increase in demand due to new technologies, and also assume that current production equals consumption. Yet even based on these assumptions, they point to some alarming conclusions. Without more recycling, antimony, which is used to make flame retardant materials, will run out in 15 years, silver in 10 and indium in under five. In a more sophisticated analysis, Reller has included the effects of new technologies, and projects how many years we have left for some key metals. He estimates that zinc could be used up by 2037, both indium and hafnium – which is increasingly important in computer chips – could be gone by 2017, and terbium – used to make the green phosphors in fluorescent light bulbs – could run out before 2012. It all puts our present rate of consumption into frightening perspective (see Diagram). Our hunger for metals and minerals may not grow indefinitely, however. When Tom Graedel and colleagues at Yale University looked at figures for the consumption of iron – one of our planet’s most plentiful metals – they found that per capita consumption in the US levelled off around 1980. “This suggests there might be only so many iron bridges, buildings and cars a member of a technologically advanced society needs,” Graedel says. He is now studying whether this plateau is a universal phenomenon, in which case it might be possible to predict the future iron requirements of developing nations. Whether consumption of other metals is also set to plateau seems more questionable. Demand for copper, the only other metal Graedel has studied, shows no sign of levelling off, and based on 2006 figures for per capita consumption he calculates that by 2100 global demand for copper will outstrip the amount extractable from the ground. But the sobering truth is that we still have millions of years to go before our own extinction date, or so we hope, and at our present rate of consumption we are likely to deplete most of the natural resources this planet has handed us. We have set up breeding and conservation programs to guard the few remaining whooping cranes, Indian rhinoceroses, and Siberian tigers. But we can’t exactly set up a reservation somewhere where the supply of gallium and hafnium can quietly replenish itself. And once the scientists have started talking about our chances of running out of copper, we know that the future is rapidly moving in on us and big changes lie ahead. “So the automakers and electric-vehicle enthusiasts have to ask themselves whether the focus on lithium-ion technology is a jump from the frying pan into the fire; from peak oil to peak lithium. Tahil believes so, and suggests that the industry should focus more on battery technologies based on more common metals, such as nickel or zinc. This would include sodium nickel chloride or “Zebra” batteries and zinc air batteries.”. .. 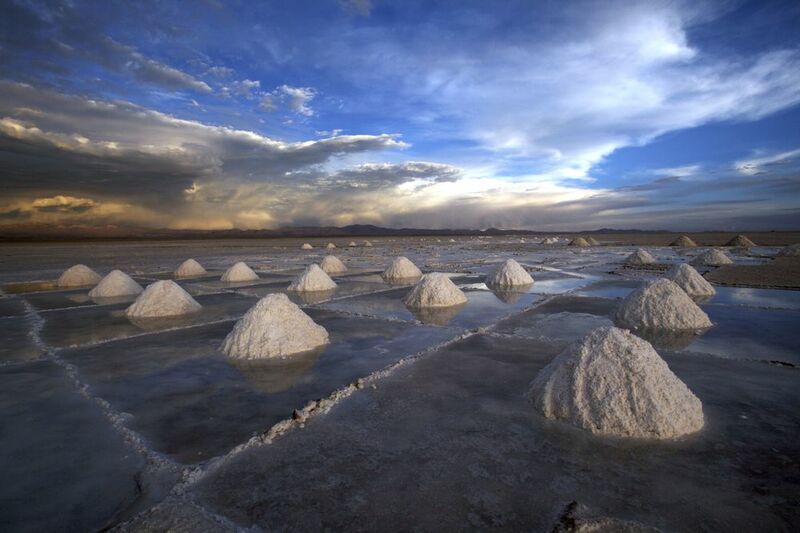 Does the world have enough lithium? It depends who you ask. A 2008 study by French researcher William Tahil found there were just 3.9 million metric tons of recoverable deposits globally in mineral ores and Andean salt lakes. That’s little enough that the world would risk running out as demand for lithium-ion car batteries and utility-scale storage ramps up over the coming decades. A survey the following year by consultants Gerry Clarke and Peter Harben, though, concluded there was about 10 times that amount. Depending on the other parameters applied, those numbers suggest deposits could provide lithium for anything from a further 100 million cars — about 10 percent of the global auto fleet — to 10 billion or more. That vast range of estimates is inevitable given compounding uncertainties around the quantities available and the amounts needed. Still, a glimpse of how the sausage is made may help to demonstrate why, as we argued in Wednesday’s column, fears of peak supply for battery materials should be taken with a pinch of altiplano salt. Calculating mineral reserves is a little like working out the contents of a lucky dip by sticking knitting needles into a box. Geologists must drill through rock to produce kilometers of core samples at a cost of several hundred dollars a meter, and then analyze what they’ve dug up to work out the rough shape and concentration of an irregular ore deposit deep below ground — a mineral resource. After that, engineers assess the cost of building and running a mine and processing plant, while economists estimate future prices. Put that financial and economic data together with the geological information and you have a mineral reserve, the gold standard for working out supply availability. As should be evident, though, that estimate contains multiplying layers of variables. A movement in just one can, for example, make 3.5 billion barrels of oil disappear. That’s one of the reasons people invest in mineral exploration companies: There’s always the chance that a few extra bits of data could produce a dramatic change, as when a 2007 update increased the estimated lithium content of Argentina’s Salar del Rincon brine lake from 253,000 tons to 1.4 million tons. Geologists’ estimates of Rincon’s lithium concentration range from 0.033 percent to 0.05 percent, a difference that on its own would be enough to increase the resource base by 50 percent or reduce it by a third…. …Then come demand issues. The amount of lithium 1 used per kilowatt-hour of battery power is changing rapidly as manufacturers improve efficiency. One 2015 study by Citigroup Inc. estimated about two kilograms of lithium carbonate equivalent are needed for each kWh; more recent appraisals by Deutsche Bank AG and Advantage Lithium reckon it’s about a third as much. On top of that, there’s the question of how powerful batteries will be. A hybrid Toyota Motor Corp. Prius has a 4.4kWh battery; a Tesla Inc. Model S can have one as large as 85kWh. Most analysts base their estimates on the 30kWh to 40kWh range of Nissan Motor Co.’s all-electric Leaf, but in truth it’s anyone’s guess which size will dominate. …Further off, alternative battery chemistries — based, for instance, on sodium and silicon — may cause lithium-ion cells to go the way of the nickel-iron cells that Thomas Edison hoped would power a previous generation of electric cars. None of this guarantees that lithium won’t run short or that prices won’t rise for brief periods in the near term. If Tahil is right and demand grows fast enough, the market could get awfully tight. Those hoping for a dearth, though, need to reckon with the possibility that we could be hurtling towards a glut, instead. Second of a three-part series on battery materials. Part one was on platinum and graphite, and part three, on cobalt, appears tomorrow. As these materials being to run down, we will reuse and recycle them, and the economics of replacing them with other materials altogether will make sense. Steel skyscrapers will give way to CLT, and as lithium runs down, other battery chemistries will take over, like graphene, super-micro-capacitor, sodium ion, foam, nano-yolk triple capacity, aluminium air or something else? Future batteries coming soon.